Fill out the form below, and we’ll send you more information about the Anthropology, BA program. Develop a deep understanding of humanity’s past and present. Modern society has evolved through thousands of years of growth, cultural exchange and advancements. With your anthropology degree, you’ll gain a deep, holistic understanding of the human condition and what past elements have led to our present world. 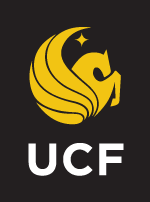 When you earn your Bachelor of Arts in Anthropology through UCF Online, you are embarking on a journey that will take you through the entirety of human history. With a focus on the subfields of archaeology, cultural anthropology, linguistics and physical anthropology, this degree program will give you a broad understanding of language, culture and religion from around the globe. You’ll emerge from the program able to conduct research and fieldwork, and you’ll understand the methods and theories that drive anthropology. 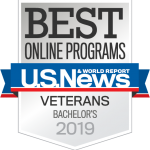 Your bachelor’s degree from UCF Online will position you to pursue a variety of exciting careers or to dive deeper into graduate studies. With your online anthropology degree in hand, you can play a critical role in the understanding and application of human history. 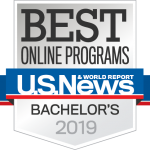 This degree program has been ranked by BestColleges.com as the No.1 online anthropology program in the United States. To join this exciting field, get started today.